Norway donates a Christmas tree to the people of Britain which comes straight from Oslo. That tree is known as Trafalgar Square Christmas tree, and Norway has been gifting a tree every year since 1947. The tree stays displayed there permanently from the start of December to 6th January. The reason why Norway gifts the tree is that Norway gives it as a token of gratitude to Britain for their support to Norway in World War II. What’s So Special About This Tree? The tree is mostly a 50 to 60 years old Norway spruce which is about 25 meters tall. It is selected from the forests near Oslo and is taken great care of. The foresters of Norway that are held responsible for the tree call it the ‘Queen of the Forest.’ The tree grown in Norway is cut down from the grounds of the country in November, and there is a whole ceremony of cutting down the tree several officials join the ceremony. These officials include the Ambassador of Norway, Mayor of Oslo and the Lord Mayor of Westminster. The tree which is cut down is then shipped to the United Kingdom using a boat and many shipping companies sponsor the shipping of tree. Back in 2003, a company named ‘Beck and Pollitzer Ltd.’ took the responsibility of shipping the tree and erecting it at the Trafalgar Square. In the World War II, Germany invaded Norway, and they forced the king of Norway to create government-in-exile in London. The great help was offered by the British army as they helped to train Norwegian Commandos and made a plan to attack and prevent the Nazi installations. To pay tribute to British, Norwegian people sent a Christmas tree from Oslo. King Haakon VIII got the chance to escape and head towards England when the Germans invaded Norway 1940 in the middle of World War II. The country had to set up their government headquarters in London, and all the news about the war was broadcasted from there. Along with the news, some important messages about the resistance movement in Norway were also broadcasted. So these Christmas trees are just a symbol of gratitude and a way to say thanks for the help of British. 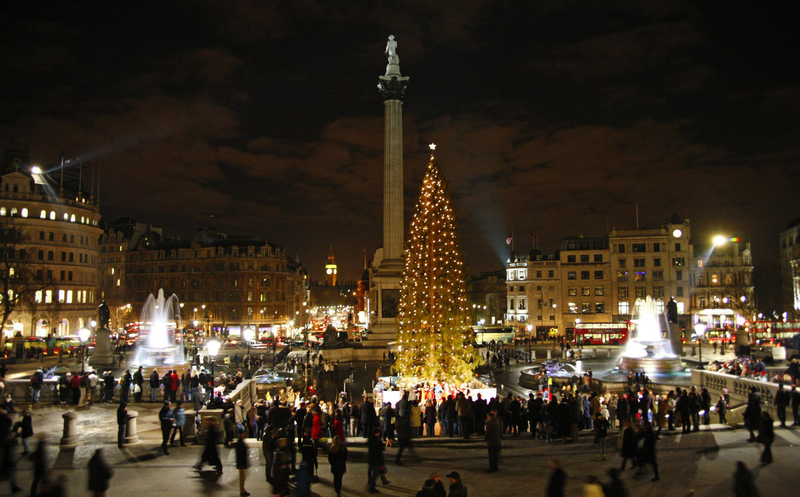 The lightning is done on the famous Christmas tree at Trafalgar Square on 7th December at around 6 pm. A rigging team erects the tree at the square, and the tree is later decorated in Norwegian Style, using the vertical strings of light that illuminate the tree. Only some people know the fact that Norway does not only gifts the tree to the city of London but for several years a couple of Norwegian cities donate Christmas trees to various cities across the UK as a symbol of friendly relationships between the two countries. 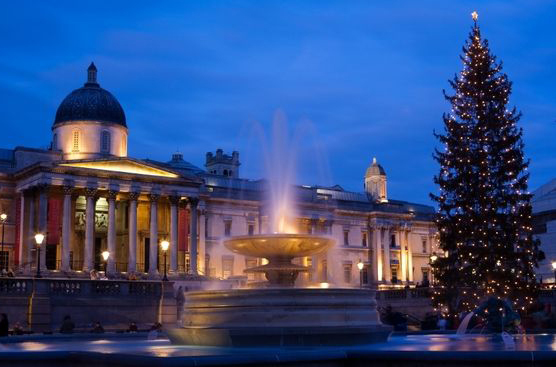 The annual Norwegian Christmas Concert will be held this year on Friday, 8th December around 7:30 in the evening at St Martin in the Fields under the management of Royal Norwegian Embassy and Statoil (UK) Ltd. Some of the best classical musicians and jazz artists will perform at the concert.